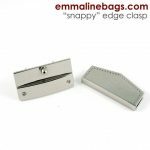 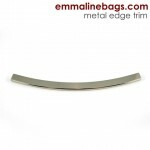 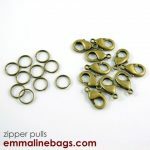 View cart “Emmaline Bags Hooks & Rings for Zipper Pulls – 10 Pack Gold” has been added to your cart. 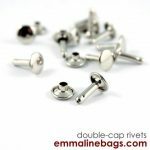 Go HERE for an awesome tutorial to teach you about choosing the right size, installing, and which tools you may need. 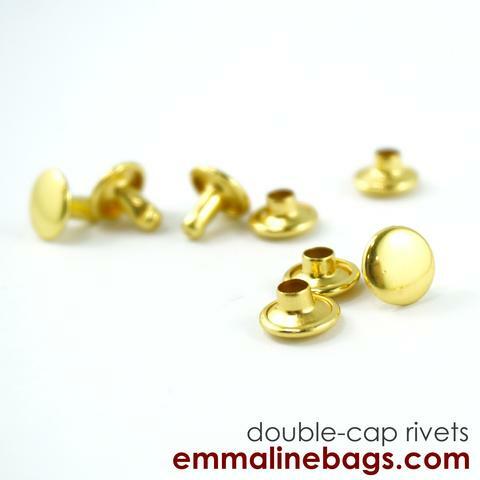 Finish up your bag with these Double-Cap Rivets (both the front and back look good). 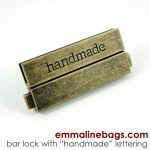 Stocked up on these to add the finishing touches to my bags made with gold style hardware – just adds that finishing touch to make the bag pop.